Flying things and garages can be a troublesome combination. At best, their presence can mean costly repairs, and it can serve as a loud and annoying nuisance to the homeowner. In the worst of scenarios, winged things in the garage can be dangerous. 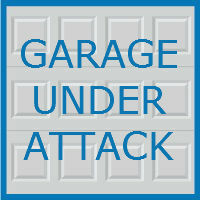 Learn how you can safely and effectively evict the flying intruders in your garage, and how you can protect your garage from future attacks. While some birds still prefer living in undeveloped areas, away from humans, many others have adapted quite well to the hustle and bustle of our lives. In fact, some actually thrive on the food and shelter we unwittingly provide. House sparrows are a prime example. They make their homes in the eaves and crevices of our homes and eat our discarded food. In some cases, they are nothing more than a minor annoyance, like when they wake us up in the early morning with their singing. However, they can also pack nesting material into fan and dryer vents, posing a fire or inhalation problem in garages. If swallows are your problem, move their nests as quickly as possible (but only when the nest is free of eggs and young) and then deter them from re-nesting with mesh netting or other appropriate material. Woodpeckers are also a common annoyance for garage owners, especially when the garage is built with wood materials, such as cedar. Bugs enjoy nesting in the crevices that develop over time, and the woodpeckers love harvesting them from your siding. The holes they leave can create even more homes for bugs, and it can become costly to repair. On top of that, there is the ear-splitting noise of their pecking. You can remedy this issue by filling in holes and crevices to prevent bug nests, but the problem is still likely to resurface. If woodpeckers are a problem in your area, your best option is to re-side with a non-permeable siding. Wasps, bees, and hornets often take up residence in garages, which can be dangerous to homeowners. In fact, even removal can be a frightening experience, which is why many homeowners turn to professionals. In the case of bees, this is often the preferred method since the bee population has been on the decline, due partly to disease and partly due to habitat destruction. Still, there may be instances where you want (or need) to brave the task yourself. Prevent future attacks by watching the flight patterns of your unwelcome guests. Typically, they have a point of entry – a small hole, a crack, or a vent. Seal their entry way with the appropriate materials. If the entry is a gap in the garage door, or because of wear and tear, our garage rebuilding team can help. At Blue Sky Builders, we do more than just build custom garages. Our skilled and experienced builders can remodel your current garage, updating it with high-quality materials and a sound design to help prevent future attacks on your garage space. We can even update the siding on your house to match! 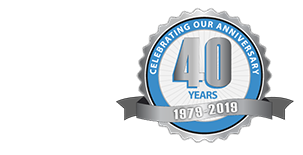 Contact Blue Sky Builders online, or call 630-852-8485 and start your garage remodel project today.